Warp have announced that they will be repressing a few classics from their roster this autumn. It's a bumper haul for Flying Lotus fans: his Los Angeles (2008) and Cosmogramma (2010) albums have both been repressed, as have his 'Reset' (2007) and 'Pattern+Grid World' (2010) EPs, all out now. His new LP, When The Quiet Comes, is set for release on October 1. Grizzly Bear's Yellow House (2006) and Veckatimest (2009) will get the re-release treatment, coming out on September 3. Their new album, Shields, will follow a couple of weeks later on September 17. 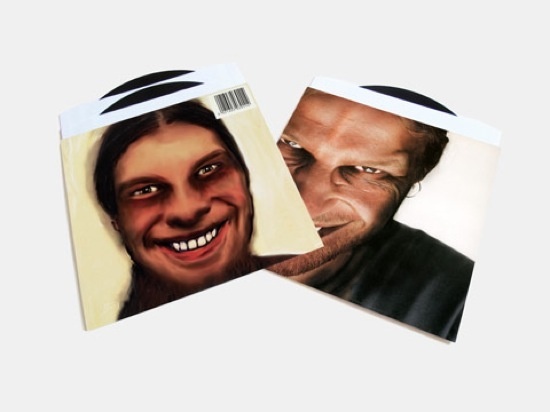 Finally, Aphex Twin's ...I Care Because You Do (1995) and Richard D. James Album (1996) albums are both being repressed and are set for release on October 8. All the repressings come with original artwork and mp3 download codes, with the Aphex Twin and Grizzly Bear LPs getting pressed on 180g vinyl. If you pre-order here, you'll get the downloads instantly.